Previewed earlier this week in two colorways, we now get to see an official look at the Freegums x Nike LeBron Soldier 9. 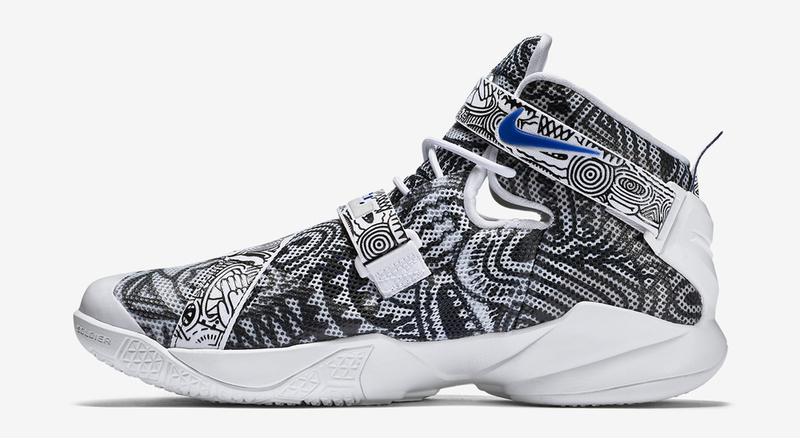 The modernized iteration of King James' 9th signature shoe gets renowned by graphic artist Freegums, engulfing the sneaker in all-over pattern with his visible signature marking throughout the sneaker. No official release has yet been announced, but stay tuned with SneakerShouts for more info as it unfolds.